The upcoming living world event follows on from last month’s Tower of Nightmares which, after players defeating the defences, has opened up to the public and is now ready to be scaled and conquered. 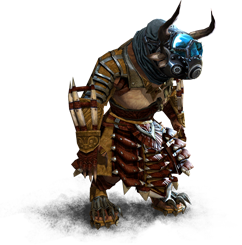 The Toxic Alliance will challenge all-comers, from Asura to Charr alike in this chapter titled, The Nightmare Within. With three mini-events in the series to partake in, plenty of new equipmen and pets to play with and a new gas mask face item that you can’t wrinkle your nose at, there’s the usual bucketful of bounty on offer. There will be a live stream showcasing the content of the event at www.twitch.tv/guildwars2 on the 13th of November 2013 at 9pm CET/8pm GMT. On a further sustained note, Arena net have teamed up with Sygnus Guitars to bring you a competition. You will have to work for it though. A suitably hair swinging, neck thrashing metal track, aptly named ‘The Nightmare Within’, has been posted at www.soundcloud.com/arenanet for GW2 players. Your task is to capture a minute worth of gameplay footage to go along with this fantastic piece of chugging, harmonic fuelled, blood and thunder ear art. Get your FRAPS out and record some murderous pandemonium, probably consisting of a the total destruction of a French server on WvWvW. Prepare to Rock the Nightmare! In the November 12 Guild Wars 2 release The Nightmares Within, you’ll storm the sinister fortress of the Toxic Alliance and face your fears! Few things are as “metal” as a sorcerous tower full of evil, so to commemorate The Nightmares Within release, we’re hosting a heavy metal music video contest from November 5 through November 26. The Rock the Nightmare Music Video Contest runs from November 5 through November 26, so don’t delay – get rocking today! Enter the Tower of Nightmares The dark tower in Kessex Hills has been breached! Now is the time to storm the tower and begin setting things to rights. Within the morbid stronghold of the Toxic Alliance, you’ll find new dangers, new challenges, and come face-to-face with terror incarnate. 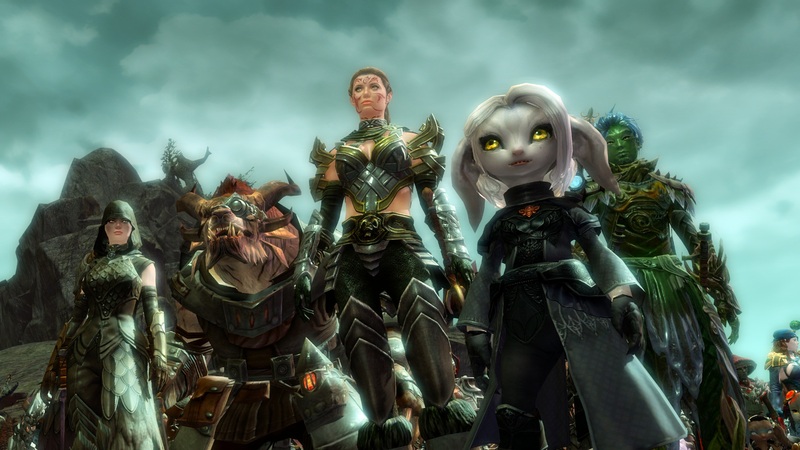 Events ROCK THE NIGHTMARE Create your own Guild Wars 2 music video using our all-new “The Nightmares Within” song. The most creative video creators will win SteelSeries gaming gear, and the grand prize winner will receive a unique custom Guild Wars 2 guitar from Sygnus Guitars – there isn’t another one like it on Earth or Tyria! 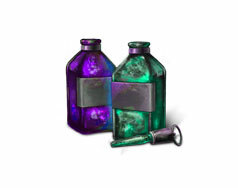 LINGERING POISON You may have found a way into the Toxic Alliance’s inner sanctum, but this has by no means curtailed their nefarious activities! Kessex Hills and the surrounding countryside are still befouled by the alliance’s evil presence! FACE THE NIGHTMARES WITHIN Enter rooms within the Tower of Nightmares to brave special encounters—but beware! Things are not all as they seem. You can never know what awaits you within these dark rooms. Will you find yourself face-to-face with Scarlet’s agents, or a much more insidious enemy? It’ll take strength, determination, and a cool head to survive the trials that await you. THE END OF NIGHTMARES? Marjory Delaqua has developed a special antitoxin to put an end to the deadly plant at the heart of the tower, but the first team dispatched to inject it never returned… Fight your way to the upper chamber in a last-ditch battle to destroy the toxic menace! 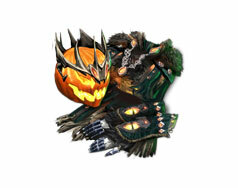 Rewards Antitoxic Fashion Complete the meta achievement for The Nightmares Within to unlock a special Gasmask Skin! As the latest design in air purification and toxin prevention, the Gasmask is a universal skin that can be applied to any piece of head armor. Exclusive New Looks Complete your wardrobe with an Air Filtration Device—a dry-land version of the starter aquatic helm—or the Toxic Spore back item! Brand-New Minis! 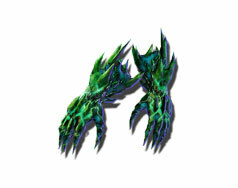 Two new Toxic Krait miniatures are on the loose! You have a chance to pick up one from Toxic Alliance foes you destroy, and the other can be earned by killing a very special enemy, hidden deep in the heart of the Tower of Nightmares. Tri-Key Chest The Tri-Key Chest holds a chance for special treasures. Collect the three keys to open it from foes within the tower, or barter for them with Marjory’s Helper, Dee. Open the chest to see what lies inside! The matches will be casted by Sireph. So better tune in if you don´t have the chance to play! You can find his channel on TwitchTV! The stream will be casted by Sputti and ChroNickGamer. You can find the channel here! The chinese stream can be found on Crispeke´s channel! In case you missed the matches of last weeks cup feel free to check the VoD´s of Jebro´s show on Youtube.